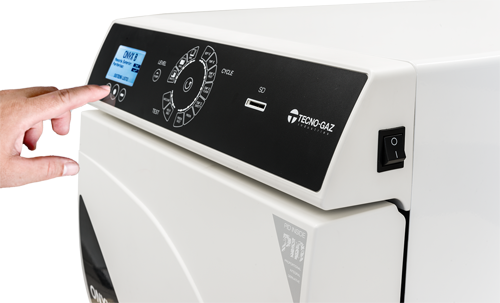 The autoclave is the key device within each medical structure, therefore it is fundamental to choose a well-known, referenced product which can rely on a widespread network of technical support. Flexibility is essential to rationalise workflow and operative efficiency. 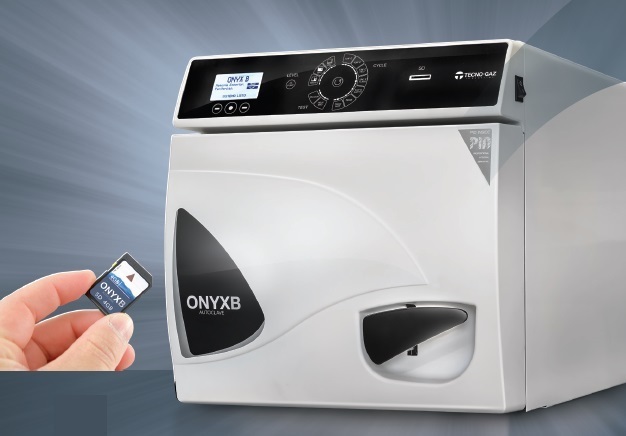 Onyx B offers a wide range of cycles, all studied to help you every day. P.I.D. means Proportional Integral Derivate and represents the apex of closed loop controls. This solution reduces anomalies and warnings, guaranteeing maximum reliability with minimal idle times. The SD CARD system ensures recording and storage of all cycles which can then be downloaded on your PC for their management. 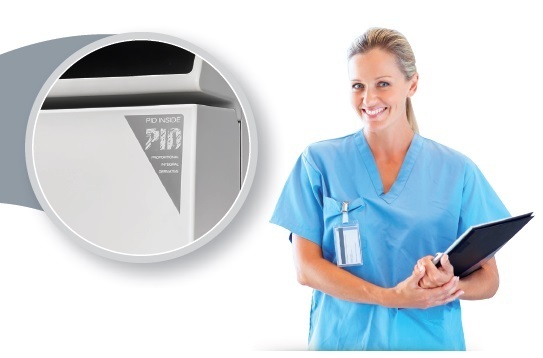 The SD CARD system allows constant machine updating by simple data download, then insertion into the autoclave system. An extraordinary option in order to have a constantly efficient and updated device. To avoid manual loads with the possibility of water overflow, the automatic clean water tank system of Onyx B has a level sensor control pump with automatic lock. Front loading, no opening cover or removal system, enabling simple machine positioning. The autoclave is autonomous, equipped with a double tank for clean water and waste water. 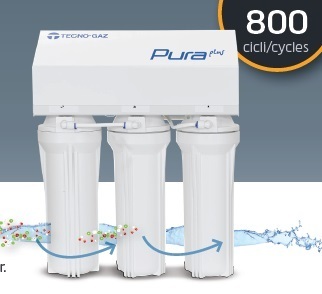 It is ready for connection to the water supply through the PURA Plus osmosis system. 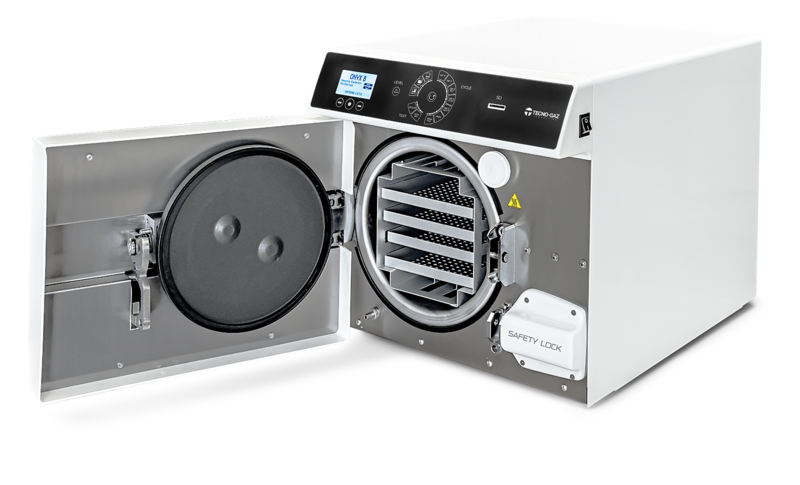 Preheating system with stand-by for minimum temperature maintenance and consequent time reduction of all the sterilisation cycles. 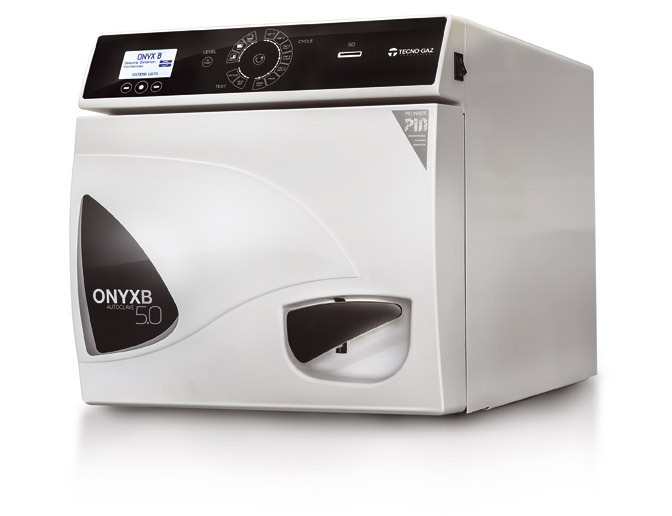 Onyx B was designed to rationalise the work of sterilisation operators, therefore the autoclave is equipped with cycles which have been expressly conceived to improve time management and operator’s requirements in outpatient clinics. All cycles are completely automatic and all phases are managed by the advanced card equipped with a powerful microprocessor. 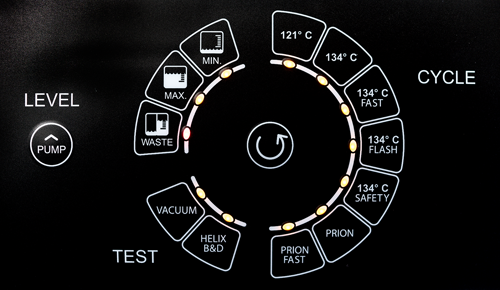 Each phase (vacuum, preheating, exposure time, drying) is monitored, backed up and managed automatically. There is no human intervention in cycle operation. Operator's authentication integrated system protected by password, permitting, at the end of the cycle, association of the operator to the sterilised load with visual operator identification. The same authentication is also reported by the load traceability procedure.